A family owned and operated business since its inception, the West Fenwick Carwash combines cutting edge technology with a clean, committed work ethic focusing on a singular goal, making you happy. 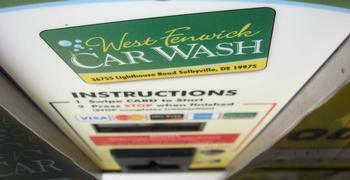 The owners and managers of the West Fenwick Carwash and its sister establishment, the Mason Dixon Wash, have a rich family heritage in Southern Delaware. We feel an obligation towards our community and strive to work hard for its fulfilment.